Explore the Innovative Bathroom Furnishings by Antonio Lupi – If you’re planning to enhance your bathroom interior design, all you need, first of all, is the best inspirations. For that reason, Luxury Bathrooms invites you to meet Antonio Lupi and to explore the brand’s innovative bathroom furnishings. Tuscan-based design company, Antoniolupi had an incredible showing at the grand lifestyle event, Maison et Objet. Within these lines, we thought it would only be fitting to do a proper recollection on a few of the brand’s most exciting projects. For more than sixty years the acclaimed brand has provided the world with prolific and high-quality bathroom furnishings for not only the Italian market but also for worldwide display. By creating remarkable collections as well as tending to clients needs, Antoniolupi has become one of the most accomplished brands in the bathroom furniture sector. Featuring pieces that involved a high-level of innovative materials and technological advancements, the brand has actually expended their product line to other livable spaces, collaborating with proficient designers all over the world. Here you can find an exciting cluster of new projects of the distinguished brand, from freestanding washbasins to bathtubs, these pieces are bound to be a success. Mario Ferrarini was the master behind the AGO85 which was made from Flumood is best described as an “harmonious synthesis of essential volumes, is the virtuous encounter between the perfect geometry of the circular basin with thin edges and the cylindrical base that narrows upwards.”This freestanding washbasin has that contemporary yet universal appeal that would enhance any type of bathroom. Designed by Silvia Nerbi and Andrea Bogazzi, the ATLANTE Sink was a product of intense research in order to display something that achieves a universal notion of beauty. 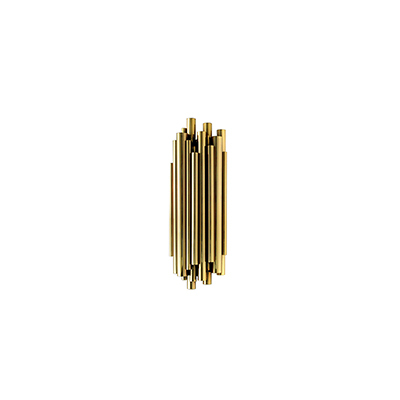 These pieces resemble the shapes of the astounding Greek columns, an architectural masterpiece. This pragmatic sink made from stainless steel was designed by Francesca Braga Rosa and Ivano Vianello. The Lavandino is completed with a lower drain and it is installed on a wall bringing in light and displaying a minimalism style. Carlos Colombo designed the enthralling bathtub, Urna wich has a semi-spherical shape and a timeless configuration. Made from the brand’s material Flumood, this contemporary sink comes in a lot of colours which is great, because this way you can pick the most suitable to match with your furniture. It is a design that involves a lot of precision and coordination in order to give that sculptural and contrasting sense. The Beautifully functional W_Slot was designed by Nevio Tellatin. Made of Corian, this exceptionally solid piece is the epitome of minimalism in regards to bathroom furniture. Nevertheless, it could also be characterised for its clean and rigorous appearance as well as its modern touch, it becomes the essential element to have in any bathroom set.